The world of luxury often does not attend to reasons and if you tell Ferrari, one of the brands that raises more passions among fans and also one of the least achievable for most mortals. And we not only refer to their cars, but other accessories related to the signature of the ‘rampant Cavallino’. If the book “The Official Ferrari Opus” was considered “The Bible”, now we could be before one of its Gospels. We must remember that the most expensive edition of Opus, the “Enzo Diamante”, was limited to 30 copies with 30 diamonds on the cover and cost $ 275,000. Quite a bit below the ranking is the Taschen Ferrari book, a most distinguished publishing house. It is a copy that brings together unpublished photographs and the whole history of the brand in a way that had not been seen before. 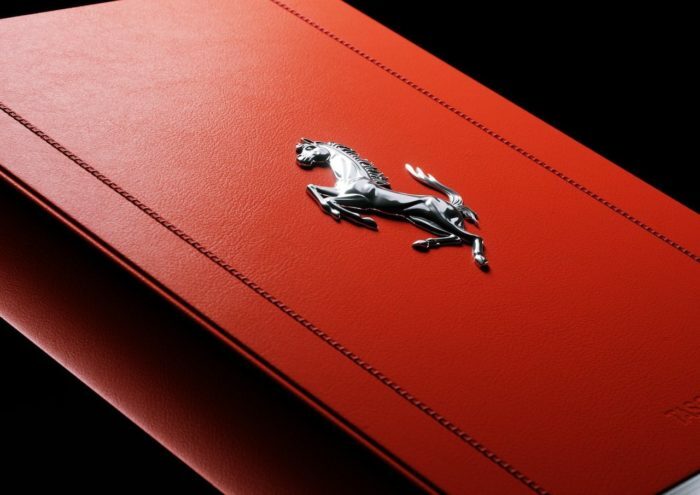 As happened with the Opus, there are several editions of the book to which we refer in the first place is the Art Edition, formed by 250 numbered units and with the signature of figures of the brand such as Sergio Marchionne, John Elkann and Piero Ferrari. Although what attracts the most attention is the peculiar lectern that accompanies it, it is a fairly faithful sculpture of one of the twelve-cylinder engines of the brand, which is supported on peculiar exhaust manifolds that make legs. As we anticipated at the beginning of the article, the Taschen Ferrari Art Edition will have a higher price than many cars: 25,000 euros for those who want it in their library. However, for those fans who can’t afford it, there is a less exclusive edition. There will be another 1,697 copies, ranging from 251 to 1,947, which come with aluminum housing and cost 5,000 euros each one. « What if Uber and Lift do not help improve traffic?